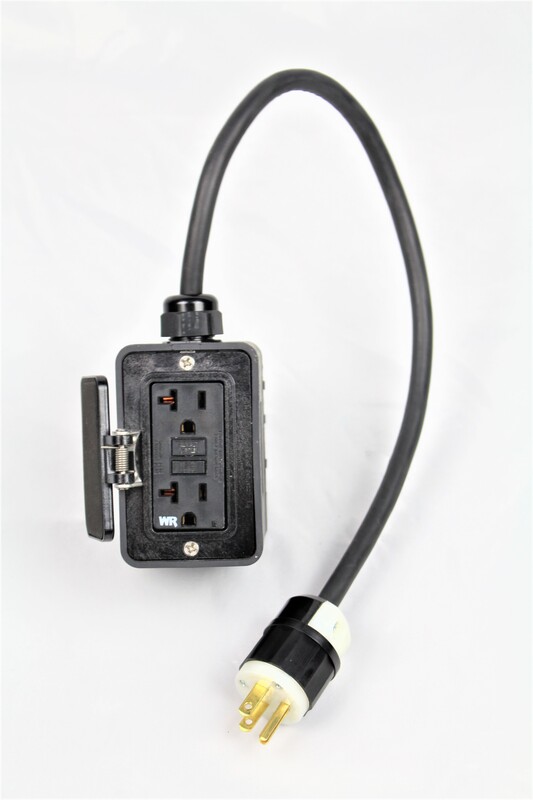 If you are looking for a large adapter that can handle a maximum amount of power, you will enjoy our Dual Electrical Adapter. With this device, you can plug in multiple electronic items and use them safely without causing electrical short circuiting. 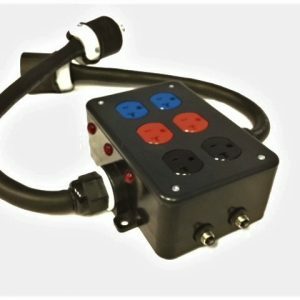 Outputs: 1 each 20 AMP, 125V (NEMA 5-20 GFI) duplex receptacles with flip lid cover. 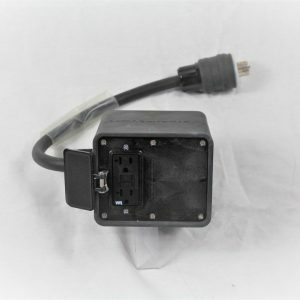 1 each 20 AMP, 125V WR rated duplex receptacle with flip lid cover. Finally, you can use all of your high-powered devices using an adapter that can handle the a large amount of energy. 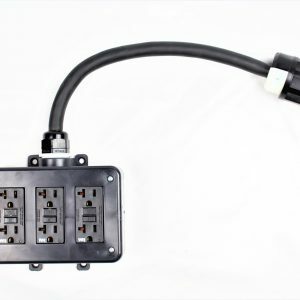 Our Dual Electrical Adapter is capable of distributing plenty of power for your devices, while also doing so in a safe way. Our adapter is made with a rubber encasing to ensure safe use. 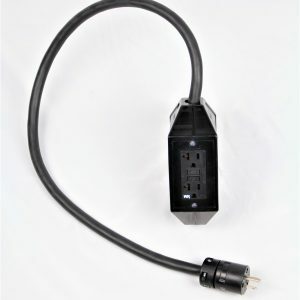 If you are interested in a heavy duty electrical adapter, shop Nutech today! High-power adapter fitted with rubber box encasing. Durable adapter that is portable. Has two outlets for use.